oriented and ran business. We employ ASE certified Master technicians, and always use the latest dealership level equipment. We offer quality, affordable auto repair to the South Florida and Miami-Dade area. 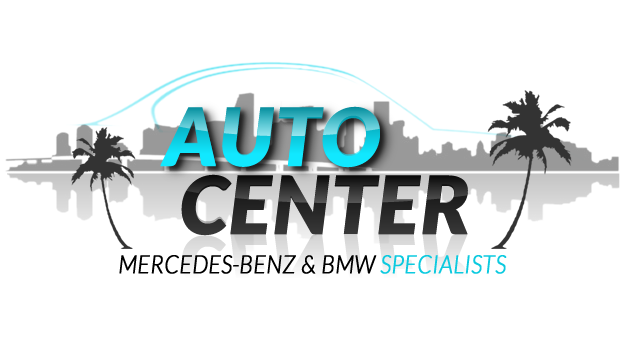 Auto Center, LLC is a Mercedes Benz and BMW specialist repair center and can service your vehicle from end to end. Auto Center stands apart from the competition through our dedication, industry experience, and personal customer attention and care. We promise to keep your car in excellent condition and the manufacture's warranty in effect. We offer courteous and personal service to our customers at very reasonable rates. We guarantee complete satisfaction for all services and repairs performed at Auto Center, LLC. Licensed and Insured MVR #50799, MV #70865. Hablamos Español! If you recently had your vehicle serviced at Auto Center, LLC, please let us know about your experience on our Google Business page. Thank you!